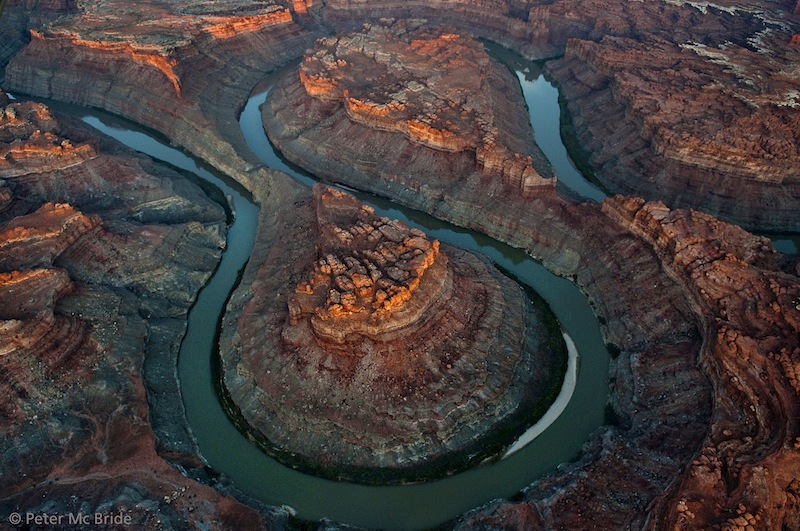 âThe Loopâ is located six miles above the Green River confluence in Canyonlands National Park, 50 miles downstream of Moab, Utah. The river follows an anticline atop 300-million-year-old salt beds buckling against the weight of more recent rock sediments. In 1964, President Johnson created Canyonlands National Park, as uranium prices fell and allowed him to work around numerous mining claims in the area.